Kellee Moye and Ricki Ginsberg met while serving on the Amelia Elizabeth Walden Award committee. They were reading and discussing hundreds of books, and they quickly became fast friends. Both were diehard attendees of the NCTE convention and ALAN workshop and loved presenting at conferences and learning from other educators. Their passion is to make engaging books accessible for teachers. One day, Kellee called Ricki and asked her if she wanted to be blog partners. She said she wanted to create a blog for educators and Kellee’s experience as a middle school teacher might complement well Ricki’s experience as a high school teacher. And that is how Unleashing Readers was born. Kellee Moye began teaching middle school in Orlando, FL in 2006; first as a sixth grade language arts teacher, then as a seventh grade language arts teacher, then as an intensive reading teacher for grades sixth through eighth as well as a developmental language arts class for new ELL students, and now she is the reading coach at her middle school in addition to teaching journalism and advanced reading. 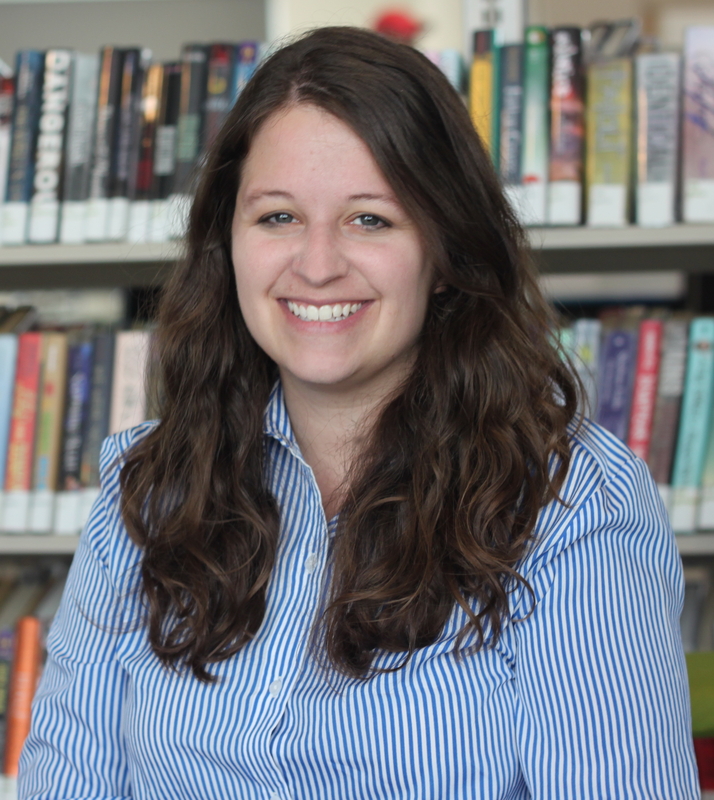 Although she loves teaching in general, she has found a specific love for teaching reading. She enjoys working with all levels of readers: those who striving to find their love of reading or improve their reading ability because it is so rewarding and thoroughly enjoyable to transform these students’ views of reading, school, and learning as well as working working with advanced readers by enriching their reading experience is equally gratifying and enjoyable! 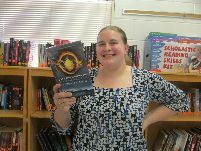 She feels that the biggest key to helping these students is community which includes class discussions, student-centered learning, data-driven teaching, and, most importantly, helping each student find the specific books they’ll love and time to read these books (with the help of her 4,000 title classroom library). As reading coach, she enjoys coaching other teachers to help them reach all readers with great literacy instruction. Kellee also teaches the journalism class that creates the yearbook, advises the Future Problem Solvers club, is the department head of the literacy department, and a member of her school’s professional leadership team. Her school is a 1:1 digital school. Kellee is a homebody who loves to spend time with her son, Trent (born February 2014) and husband, Jim. She also loves reading (obviously! ), watching TV, her cats, talking to her family on the phone (they are all too far away! ), hanging out with friends, and going to Disney! Ricki Ginsberg is Assistant Professor of English Education at Colorado State University. She formerly taught high school English for six years in Vernon-Rockville, Connecticut. There, she proposed, designed, and implemented two courses, Young Adult Literature I and II. Her mission was to help students learn about young adult literature in a warm, welcoming setting. Hundreds of students signed up for the course, and they devoured and discussed thousands of books. She is a strong advocate for allowing students choice in their reading materials to allow them to take ownership of their reading lives. Every year, Ricki participates in a lot of great conferences including AERA’s annual conference and NCTE’s annual convention. She particularly loves NCTE’s ALAN Workshop (www.alan-ya.org). This conference is for educators, librarians, authors, and publishers who are interested in working to increase awareness of the power of young adult literature. Ricki is the 2020 President-Elect and has served as a member of the ALAN Board, as an ALAN consultant, and as a member of the Amelia Elizabeth Walden Award Committee (three years as a member, one year as chair, and one year as past-chair). Ricki serves on the Editorial Team of The ALAN Review, a scholarly journal dedicated to young adult literature. Ricki’s research interests rest in multicultural young adult literature,, urban schools, equity in education, multiracial identities, and the recruitment and retainment of teachers of color. She advocates for a stronger integration of relevant texts in classrooms.recently graduated from the University of Connecticut with a PhD in Curriculum and Instruction. Her dissertation was titled: “’What Right Do You Have To Teach This To Us?’: White Teachers Negotiate Dilemmas Of Multicultural Young Adult Literature In Urban Classrooms.” She has published in Teachers College Record, Research in the Teaching of English, English Journal, Voices from the Middle, The ALAN Review, Journal of Human Rights, Journal of Adolescent Research, and Multicultural Perspectives. Her forthcoming (March 2019) book, Engaging with multicultural YA literature in the secondary classroom: Critical approaches for critical educators is co-edited with Wendy J. Glenn. Ricki is the proud mom of two wonderful boys who are avid readers, and she has a third boy on the way! 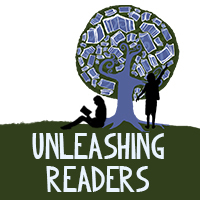 Please contact us at unleashingreaders@gmail.com for any inquiries about us or Unleashing Readers. Hi ladies! My mom sent me a link to your wonderful page, and to your Top Ten Characters You’d Like to Have Lunch With. May I say how thrilled I am that Miss Movado made your list!! Thanks for thinking of her – and for including her in such esteemed company. Thank you so much for stopping by! We’re honored that your mom found us and that she shared our page with you. Kelle, I read a review you did for a book titled “Now is the Time for Running” I do literature circles with my class and do a war theme. I use Breadwinner, Torn Apart (A Dear Canada diary), The Sky is Falling, and Camp X. I teach grade 6 and I saw in your review that “Now is the time for running” is appropriate for Grade 7. I am going to read the book, but I was wondering if you think it’s too mature for grade 6? Sage Adderley of Sage’s Book Tours gave me your link and said you might be interested in a blog post from me. As a teacher and author I’d love to share some ideas that teachers might find useful. I wrote my latest book, Warrior Kids, specifically for teachers to utilize with students. Please let me know if you’re interested and the specs you require. I’ve been looking at some of your posts and they are almost like lesson plans. Is that your focus? Is there a length requirement? I look forward to hearing from you. Take care! Hi, Michael! Congratulations on your new book! We’ve sent you an email. Enjoy your week! You did a wonderful review of my book Good Morning Yoga and I would like to send on my new release Meditate with Me: A Step by Step Mindfulness Journey (Dial Books for Young Readers) for your consideration. Thank you! Hope you’re well! Just wanted to ask if you accept outside content contributors, because I would love to pitch you some ideas if so. I’m a contributing author for a new homeowners site, and I’m looking for opportunities to write more actively for other sites as well. Are you the right person to contact about this? Hi Kellee, I am a missionary serving in Uganda. I have been creating a Language Development curriculum for schools here. i came across your lesson plans for the Hat Trilogy (books by Jon Klassen), and was delighted. I would like to use this lesson plan set and not disturb your copyright, but in order to use it there must be some adjustments made for African relevance. How can this be done? If I were to get permission from you to make the adjustments, could I still give the credit to you for creating the lesson plans and just mention that it is edited for Africa? How can I register on your website and receive updates and newsletter and be part of the community?